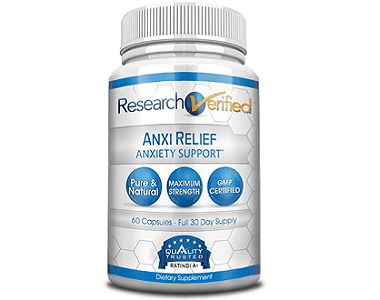 Australian Natural Care Anxiety Relief Review - Does It Work? 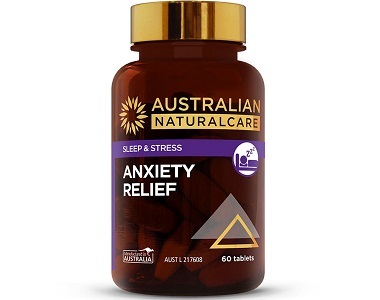 Welcome to our review of Australian Natural Care Anxiety Relief. A company called Australian Natural Care made the product, and we have taken the task to examine the product to find out if it works. The manufacturer aims to deliver world-class vitamins and supplements to the customer’s door. The manufacturer made the product to help reduce the effects of mild anxiety, nervous tension and stress. The product should help in the management and symptomatic relief of mild anxiety, as well as reduce fatigue. What’s in Australian Natural Care Anxiety Relief? The main ingredient in the product is Standardized Herbal Extract. The ingredient is known for helping to reduce the effects of anxiety, nervous tension and stress. The ingredient should also help to reduce fatigue and manage anxiety. The manufacturer did not state any inactive ingredients for the product. The manufacturer left out the most important ingredients that this product should have. The manufacturer should have included Magnesium, Brahmi, Lemon Balm, Taurine and Chamomile. 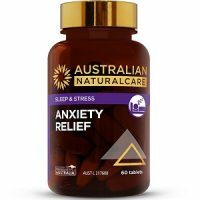 How Do You Use Australian Natural Care Anxiety Relief? Consult a doctor before you use any product. That is important to avoid side effects and to obtain the optimal results. The manufacturer suggested that you consume 1 capsule daily with food. The manufacturer did not state the time of day that consumers should take the daily capsule. The manufacturer also did not provide a formula for daytime and nighttime as the body has different needs during the day and at night. The product consists of 60 capsules that you can purchase from the official website. The manufacturer charged $19.95 for each bottle. The manufacturer had reduced the price of the product from $29.95. The additional cost consumers have to pay is the courier of the product since the manufacturer did not include it in the purchase price. Consumers can return the product within 60 days of purchase if they are unsatisfied with the results they see from the product. When consumers send the product back to the manufacturer, they have to pay the shipping fee to claim a refund. The manufacturer will not reimburse that expense. We have seen that this product will not produce the results that consumers seek. We discovered several flaws in the product that will deter consumers from purchase. The manufacturer made the product to help reduce the effects of mild anxiety, nervous tension and stress. The product should help in the management and symptomatic relief of mild anxiety, as well as reduce fatigue. The manufacturer is transparent about what it wants to accomplish with its product. The manufacturer did not state the time of day that consumers should use the product. We need that information to obtain the best results from the product. The manufacturer did not include the shipping of the product in the purchase price, meaning consumers have to pay the expense. The product comes with a money-back guarantee, but the manufacturer will not refund the courier fee that consumers had to incur to send the product back to claim a refund. We could not get any customer feedback about the product. That means consumers have not purchased the product. If numerous consumers had purchased the product, it would have many testimonials. We feel that consumers are taking a big risk by purchasing the product and have options on the market to buy better products.